This 8 day old baby boy was the sweetest little boy- he was only about 5+ pounds and was such a perfect sleeper! His Daddy is a guitar player and bought this guitar in Argentina, and it's his prized possession. 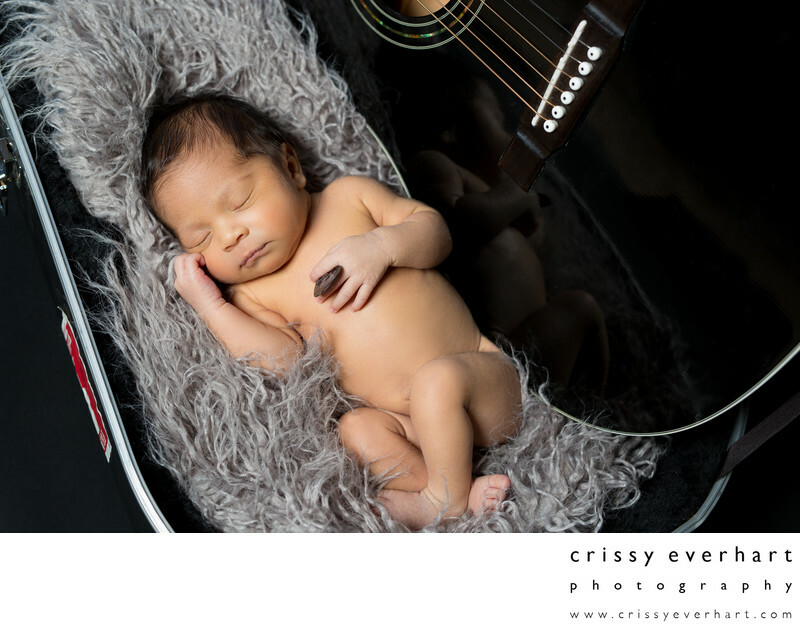 He asked if we could incorporate it into the session somehow and I was able to create a handful of images from different angles of his precious baby with his prized guitar. The parents are just in love with the images, which makes me so happy!! !